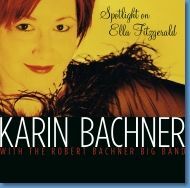 All my recordings are also available DRM free online at the Apple iTunes Music Store. Download the free iTunes software for your Mac or PC. In iTunes search for "Robert Bachner. 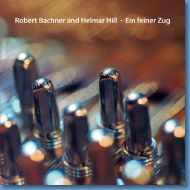 Robert Bachner and Helmar Hill "Ein feiner Zug"
Robert Bachner, trombone; Helmar Hill, piano - Download CD Cover PDF. "Ein feiner Zug" by Helmar Hill. Order concerto sheet music at ATS-Records. This album is exclusively available in the Apple iTunes Store. 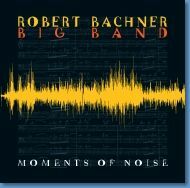 Robert Bachner Big Band "Moments of Noise"
This CD has won the Hans Koller Prize as "CD of the year 2006!" 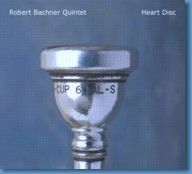 Robert Bachner Quintet "Heart Disc"
Read some CD reviews here. 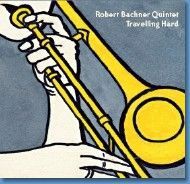 All compositions by Robert Bachner/AKM.